Abu Dhabi Global Market (ADGM) was established in October 2015 to support Abu Dhabi’s economic strategy, and growing role as a financial and commercial hub. As an international financial center (IFC), ADGM values the importance of the development of entrepreneurship, ranging from startups to successful growth ventures. This sector contributes significantly to the innovation, job creation and talent development, economic diversification, and sustainable growth of the UAE. 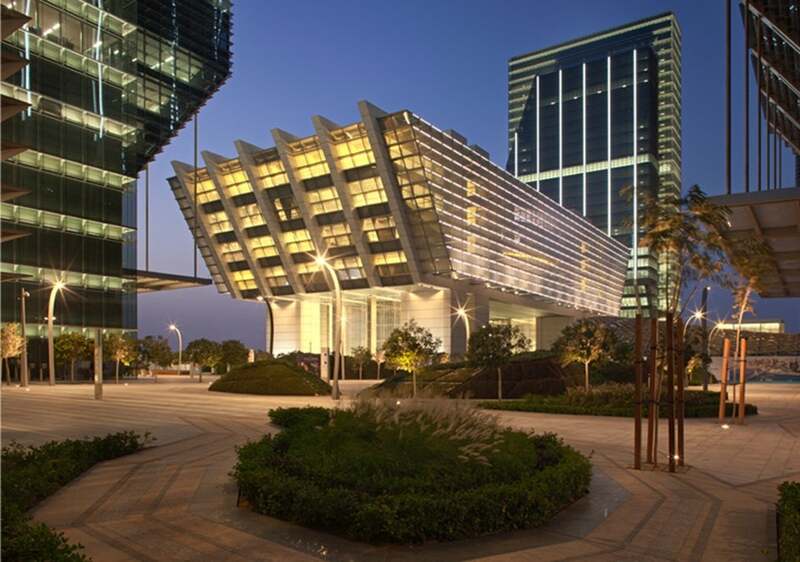 As part of ADGM’s responsibility as the financial center developer and financial services regulator, we need to provide an efficient and transparent platform for firms, small and big, to access a whole range of financial services to meet their business needs, underpinned by internationally recognized regulations and standards. The latest proposed regulatory framework for private financing platforms (PFPs) -expected to go live in September 2018- is part of the continual initiatives made by ADGM’s Financial Services Regulatory Authority (FSRA) to develop a comprehensive financing ecosystem to support and bolster the growth and diversification of UAE’s enterprises and economy. Private enterprises, including startups and SMEs, are key engines of economic growth and diversification in the UAE and the region. According to the UAE Ministry of Economy, the SME sector represents more than 94% of the total number of companies operating in the country, and provides jobs for more than 86% of the private sector's workforce. But they are relatively underserved in terms of financing needs. SMEs tend to be young enterprises, lack performance data, track record, and formal governance systems. These result in higher information asymmetries and risks, which makes bank lending difficult. It is therefore important for us to develop alternative financing mechanisms beyond bank lending, in order to enable these firms to launch and grow, and contribute to employment, growth and social inclusion. Today at ADGM, we have a comprehensive suite of regulatory platforms that offer an end-to-end marketplace of financing solutions, catering to the funding needs of companies at different stages of their life-cycle, from seed and early stages, to growth and mature stages. For instance, we have regulations that are tailored to venture capital managers that facilitate early-stage capital raising from angel and VC investors. Traction and interest from market participants have been positive so far, including Plug & Play (the world’s most active venture capital fund headquartered in Silicon Valley), which has established its regional HQ in ADGM. In addition, we have calibrated regulations for firms to raise funding from individual and institutional investors, family groups and sovereign wealth funds, supported by a range of special purpose vehicles (SPVs) that offer flexibility in various capital structuring, securitization and asset transfer options. Tech investment giants such as Softbank Group and Mubadala Ventures have made ADGM their MENA gateway and platform for international connectivity. ADGM’s collaboration with Shanghai Stock Exchange to build a “Belt-and-Road” Exchange in ADGM is expected to provide greater choices for companies to raise capital through IPOs and public markets. The PFP framework will therefore complement, and further enhance ADGM’s existing suite of regulatory offerings. The ADGM building in Abu Dhabi. Image credit: ADGM. PFPs are online platforms that enable enterprises to seek financing from private and institutional investors to launch and grow their businesses. PFPs that facilitate such business-to-business lending, supply chain financing and private placements can play an important role in improving access to alternative financing for startups and SMEs, spurring innovation and productivity growth, as well as enhancing competitiveness in these sectors. PFPs can serve a wide, private market landscape, from very early stage to pre-IPO stage companies. As per other regulatory frameworks that ADGM has introduced, we engage industry players closely to understand its business needs and aspirations before going about designing the rules and regulations. In our consultations with industry players, we realize that there is not really a dearth of investors looking to provide funding for startups and young promising SMEs. The issue is the lack of an organized marketplace where investors and lenders can seek out such enterprises. Another interesting insight is that startups and SMEs are not just looking for any kind of investors or financing arrangements. They consider it important to be able to secure funding from strategic investors who are familiar with the business segments they operate in, have the business acumen and network to add value to the founding entrepreneurs, as opposed to any crowdfunding from small investors. And that is very true for many of the unicorn startups of the world that we see today, where the early investors take an active role in aligning and shaping the direction of the startups and their founders. One other common thread that has come out clearly in our interactions with the industry relates to the need for supply chain financing solutions to optimize working capital and provide liquidity to SMEs. The ability to monetize and unlock the value of their assets such as account receivables can significantly improve business efficiency and ease unexpected cash flow issues. Given the diverse spectrum of businesses that can benefit from PFPs, the PFP regulatory framework is designed with sufficient flexibility to accommodate innovative PFP models that serve the specific needs of different industry segments, business enterprises and investor base. That said, there are common risks and obligations that are pertinent and applicable to PFP transactions, regardless of business models. In this regard, PFPs will be subject to appropriate systems and controls in the areas of due diligence of those enterprises listed on the PFP, risk disclosures, safeguarding of client assets, anti-money laundering and counter-terrorist financing, amongst others. ADGM firmly believes that a vibrant SME sector is vital to the success of the UAE’s economic transformation plans. Besides having a comprehensive financing ecosystem, technology innovation is a key driver of productivity and is crucial to the sustainable growth and success of the SME sector. In this regard, ADGM plays an active role in making business innovation more accessible to SMEs. In 2016, we launched our Regulatory Laboratory (RegLab), the sandbox regime for innovators to test and develop their financial technology (fintech) solutions in a safe and controlled environment. Till date, we have received 70 local and global fintech applications expressing strong interests to support the financial services in Abu Dhabi and the UAE. In our third batch of recruitment for the RegLab, the solutions that we sought had a heavy focus on promoting inclusion and access to quality financial services for the SME sector. Fintech can help SMEs digitize their inventory, data and financial accounting systems in cost-effective and scalable ways that will improve transparency needed by financial institutions to provide lending. From the perspective of the banks, fintech can help them leverage data analytics to enhance their credit assessments and seek our new lending opportunities to SMEs. There are also fintech enterprises that can help match the right profile of SMEs with lenders, and automate the application process through open APIs. It takes all variation of stakeholders to step up and step in to do their parts. Ultimately, to help SMEs harness innovation to grow their businesses in a sustainable manner, collaboration and active participation among industry stakeholders are key. As an IFC and financial regulator, we will do what it takes to establish an environment where the wider innovation community can convene to foster a vibrant interactive ecosystem. To this end, ADGM’s Innovation Centre will be launched before 4Q of 2018 as an open ecosystem which brings together investors, startups, corporations and government agencies to work together to innovate for the SME sector. Our hosting of Plug and Play and KPMG Digital Village will serve to support the UAE’s economic agenda. Global ecosystem builders, like them, are dedicated to facilitating collaboration between startups and major corporations. Even as we plan to roll out the PFP framework shortly, our engagements with fintech innovators in the RegLab are already providing us with a glimpse of what technology can do to facilitate capital raising and investments in a more efficient, safer, transparent manner, and offer new opportunities for SMEs to innovate and grow. More can be done. At ADGM, we are committed to, and will continue to work hard to support the Government’s economic initiatives as Abu Dhabi’s IFC. And there is no time to be wasted.